Never forget to add the Page Title in the title tags, This is the Primary identification of your webpage for a search engine. It must be unique else bots will treat as page duplication. Avoid title texts which too much lengthy. The title element should ideally be less than 70 characters in length. Basic Meta data falls in Meta Keyword and meta description tags. Meta Keyword : Let the Keywords be unique keyword phrases which describes the visible content of the page, You can use same keywords for other pages also if it accurately describes the page content. Meta descrition : Try to make it unique or let the description tag hold the data which describe the page content. It will also help the user to pick your page from the search engine listing. H1 tag should be unique to the page like the page title which populate from TITLE tag, A page should contain only one H1 tag, but you can use h2,h3,h4,h5 and h6 tags more than once. Use these tags wisely so that it may not affect the keyword density. Page contents must have atleast 300 words, Properly structured sentences with out spelling mistakes etc. Creating quality content is a big factor. If you want your page to rank in the top 10 results, then it is important to begin increasing your content size. Within the content of a page, make sure that the title and H1 heading tag have the same key phrase. The H2, H3 heading tags only need to include the main parts of your selected key phrase. It is also important to use this identical key phrase in the beginning, middle and end of your content. Pages with high word count may require additional usage of this phrase throughout the document to build a relevant keyword density. The recommended density is 3-7% of the visible content for the major 2 or 3 keywords and 1-2% of the visible content for minor keywords. Site with less images are fast and have quick response time. It also allows the bots to index the page fast with more indexable contents. If you are using images use ALT tags with meaningful keywords. Use this wisely considering that too much keyword in a page will cause a negative effect. In you page content there must be text links linked to other pages, The links must be build in such a way that the link text describe the contents of the page that it points to. You can also add values to the title attribute of anchor tag. The should be no broken links in your website. Use minimum inline style. Instead of writing whole css code inside webpage, put all the style code in an external css file and call it in the webpage. Do this will allow search engine crawlers to index more visible contents of your page. Content of the page means the number of words in the webpage. But the total words count considers the html and JS code word count also. For an effective indexing of data the text to code ratio must 40% or above. A relatively good content page must have atleast 300 words in its visible content. Response time of you webpage should be optimised, Avoid unwanted scripts which increases the load time of th epage. Make sure that your site doen't have any broken links, This will increase the load of crawlers. Make sure that your site is not having any unwanted redirects which loops the with in the page . Use SEO friendly URls instead of dynamic urls. Dynamic URLs are generated from specific queries to a site's database. and data is place into a page template. Static URLs are typically ranked better in search engine results pages, and they are indexed more fast than dynamic URLs. Static URLs are also easier for the visitor to view and understand what the page is all about. By use of mod rewrite option in Apache you can change dynamic urls to seo friendly urls. Never link to a website which has low rank than yours.Outbound links start from your site and lead to an external site. Inbound links or backlinks, come from an external site to yours. If you have links to your website from a high ranked website, it will improve your ranking. 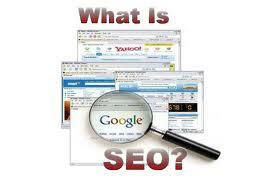 Backlinks are among the top factors that brings good Search Engine Optimisation (SEO) as well as page ranking. Submit your website to various web directories like DMOZ and Yahoo. It is not only because this is a way to get some high profiles backlinks for free, but also because this way you are easily noticed by both search engines and visitors. Generate a sitemap for you website : Sitemap is a list of pages in a website, usually the sitemap file is saved as sitemap.xml in the websites rootfolder. When the search engine crawlers or bots crawls the website, it will go through the sitemap file to grab the links for indexing. While creating sitemaps make sure that the links listed in it are not broken or failed while the crawler traverse the list. So create the sitemap and save as sitemap.xml in the root of your website. You can provide RSS feeds to other sites for free, when the other site publishes your RSS or a user subscribe to your rss feed you will get a backlink to your site and there by a lot of visitors. You can promote your website by using social networking sites like Twitter, facebook, orkut etc.Share and popularise your websites using Twitter, facebook and Google Plus Share and Like widget.